Copyright (c) – Columbia Graphophone Company Ltd. Presented with the Columbia Masterworks Album (No. 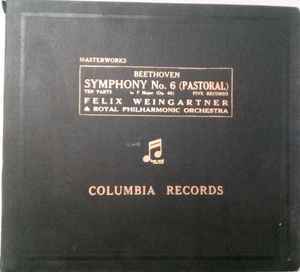 6) of Beethoven Symphony No. 6 (Pastoral) in F major. The recording is Complete, with the exception of the omission of the repeat in the first movement. Copyright by the Columbia Graphophone Company, Ltd.